HIGH UTILITY BILLS? STUFFY ROOMS? DUSTY HOUSE? IT COULD BE YOUR DUCTS! 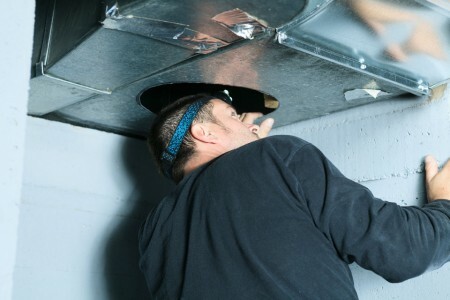 A duct system that is properly sealed and insulated can make your home more comfortable, energy efficient, and safer. Sealing and insulating ducts can help with common comfort problems, such as rooms that are too hot in the summer or too cold in the winter. Enhance Indoor Air Quality Fumes from household and garden chemicals, insulation particles, and dust can enter your duct system, aggravating asthma and allergy problems. Sealing ducts can help improve indoor air quality by reducing the risk of pollutants entering ducts and circulating through your home. In houses with forced-air heating and cooling systems, ducts are used to distribute conditioned air throughout the house. But in typical houses, about 20% of the air that moves through the duct system is lost due to leaks, holes, and poorly connected ducts. The result is higher utility bills and difficulty keeping the house comfortable, no matter how the thermostat is set. Your ducts are located in an attic, unfinished basement, crawlspace, or the garage.